Laser Micrometer - Precision Gage Co.
Laser Micrometers provide a method for measuring a multitude of features that is extremely fast and accurate. 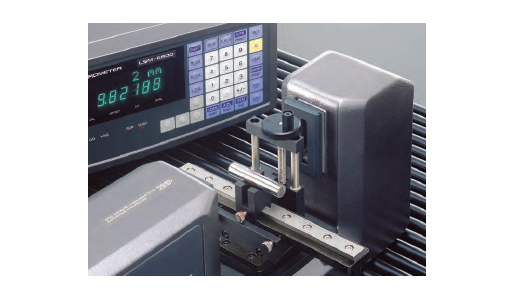 Mitutoyo provides high-accuracy, non-contact measuring systems. The LSM features a very high scanning rate (3200 scans/sec), which allows inspection of small workpieces even if they are fragile, at a high temperature, are in motion, or are vibrating.